With over 186 million active daily users, sending over 3 billion snaps daily, Snapchat is surely a big game player in the social media world. Boasting of a relatively active younger audience (18 to 34) than any other social media platform, Snapchat is more casual than Instagram, and boasts of way fewer grandparents than Facebook. Snaps have a 24-hour lifespan before they disappear, therefore, companies have to put in a lot of thought into any marketing on Snapchat. 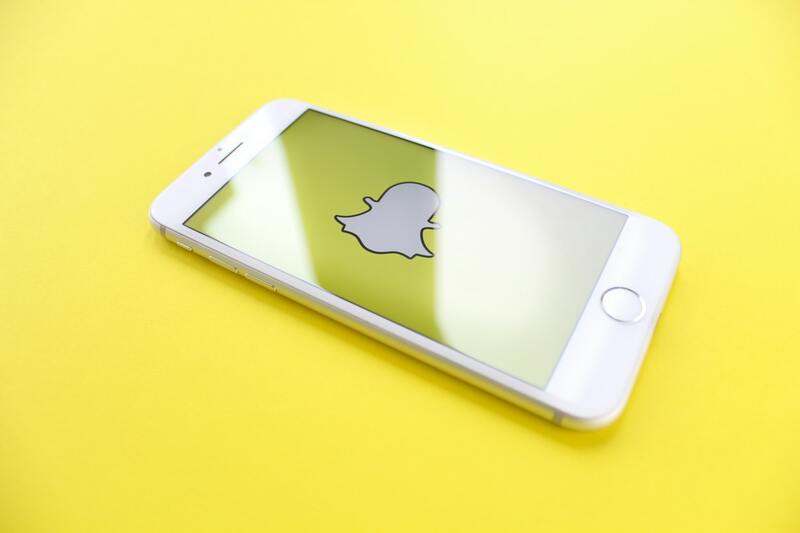 In this article, you’ll learn and understand what Snapchat is, why businesses should leverage it and 5 great ways to put your business on the global stage with Snapchat in 2019. Snapchat is an instant messaging social app that allows users to send and receive videos and pictures (known as snaps) and they immediately disappear once viewed by the receiving viewer. Snapchat is often advertised as the ‘modern day camera’ since its primary feature is to take videos or pictures and add various effects to them before sharing. All that is needed to register on Snapchat is your name, email address and your birth date. You can directly add friends from your phone contact list or you can scan the “snapcode” of a Snapchat user – all users have a distinct QR code. Things can get a little overwhelming from this point. Usually, photos and not the usual texting is the common way of initiating contact on Snapchat. To begin, you have to take a picture by tapping on the big camera circle button. You can choose from a variety of filters and effects to add to your pictures before you share. Once you are done editing your snap, you can either share it to anybody on your friend list or add it to your Snapchat story where it will be visible for only 24 hours. Why Businesses Should Use Snapchat? Currently, Snapchat is globally ranked as the sixth most popular social media messaging platform. Over 71 percent of the 186 active daily users on Snapchat are below 34 years. Also, over 71% of people that use Snapchat daily are Gen Z users. Thus, if you are looking to reach out to millennials or Gen Z users, then Snapchat should be at the top of your list. Now, you may be groaning at the prospect of all your content vanishing after 24 hours or the fact that Snapchat lacks the public-face profile layout like Instagram and Facebook. But these perceived faults are actually what make Snapchat so popular and attractive. The fact that Snaps disappear once you view them only heightens the urge for users to post more – something that other social media platforms lack. Therefore, the average Snapchat user will open the app 25 times daily and spend more than 30 minutes in the process. Summary: Users pay keen attention to the content on Snapchat. This is the important bit! Also, besides the recent surge in Snapchat advertising, the platform still boasts of plenty prospects as an organic marketing channel for businesses. Still in doubt over the potential of Snapchat? The infographic below put together by Make a Video Hub will unravel some interesting Snapchat statistics that will astonish you and ignite your interest in this fast-growing platform. There are basically three ways of advertising on Snapchat: sponsored geofilters, Snap ads and lenses. Sponsored geofilters enable users to post Snaps from precise locations such as malls and coffee shops. For example, a business with multiple branches can pick a geofilter for a particular branch. Geofilters are popularly used by brands to promote events. Snap ads are 10-seconds, vertical, full screen videos that come with a sort of interactive feature, such as a call to action to visit a particular link at the end of the video. Two-thirds of all ads on Snapchat will automatically play with the audio on. This short clip should generally highlight some features about your company and the products or services you provide. Unlike geofilters, Sponsored lenses are more interactive. Filters are added to a picture or video before they are shared to friends or on your story. Lenses feature a unique facial recognition technology, that allow users to transform themselves into demons, dogs, wear crown or lenses, wear flower halos or even have snow and glitter via the app. This facial technology happens in three stages: pretrigger of detecting the face of the user, trigger of reacting to the facial expression of the user and post-trigger of forming the final image. The company alludes to the fact that the product is their most famous, boasting an average of three-times higher brand engagement than conventional mobile advertising and double the number of purchase intent. Celebrities and other popular influencers have a large following on Snapchat. You can use them to your advantage. Once you allow a temporary take over of your Snapchat account by a popular person, you stand to gain a much wider audience and reach. Some people will only get to find out about your company when a famous person starts to post Snaps about it. 3. Offer Perks, Promotions or Contests. Everybody loves a nice discount or a good deal – this is one sure way to keep your followers coming back for more. For instance, you can offer discounts and perks to fans that watch your entire Snapchat story, or ask for a selfie of them with your product. One of the most interesting thing about Snapchat is its authentic like nature. Since videos will vanish after 24 hours, you don’t need to dedicate loads of resources into creating content. If you are a baker, display a short video of what goes on in your bakery on a typical busy morning and if you run a daycare, show your fans what a typical day at the nursery looks like. Before you launch a new brand or service, it’s smart marketing to raise awareness and anticipation. Use Snapchat stories to build excitement and create buzz around your product or service by dropping teasers, demos or hints that will make your followers feel like they are getting an exclusive exposure of your service or product before it launches.